Explore all the Northwestern islands have to offer on this amazing 8-day cruise that is packed full of outstanding opportunities to snorkel, swim, and wander through the islands of this archipelago. 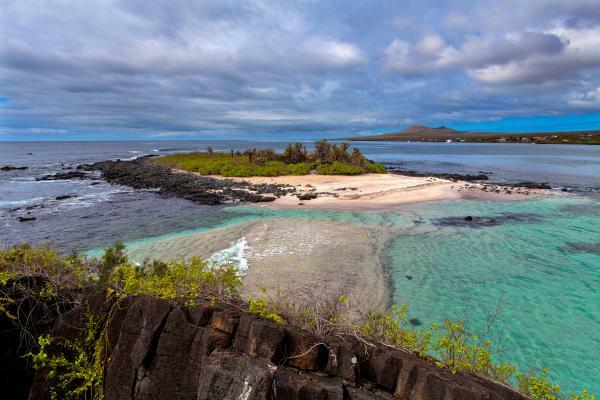 The Northwest islands are known for their striking volcanic features, pristine white sandy beaches, and peaceful lagoons, are an excellent way to get to know the Galapagos! Take pleasure in the wide variety of flora and fauna here as well as spectacular scenery on these islands. On arrival at Baltra Airport all visitors pay their entrance fee to the Galapagos National Park and get their hand luggage checked by the Quarantine system. You will then be met by the Samba’s naturalist guide, who will assist you with your luggage collection and accompany you on a short bus ride to the harbor to board Samba. After a light lunch the Samba will navigate for 45 minutes to Mosquera. Imagine a beach rising from the ocean floor in the middle of nowhere. Imagine sand grains as soft as sugar. Now imagine a sea lion colony and a fabulous sunset. You are here! Mosquera Islet is by far the best beginning of a Galápagos journey. This volcanic uplift that dates from 100 thousand years ago, a geological treasure for an admirable start. 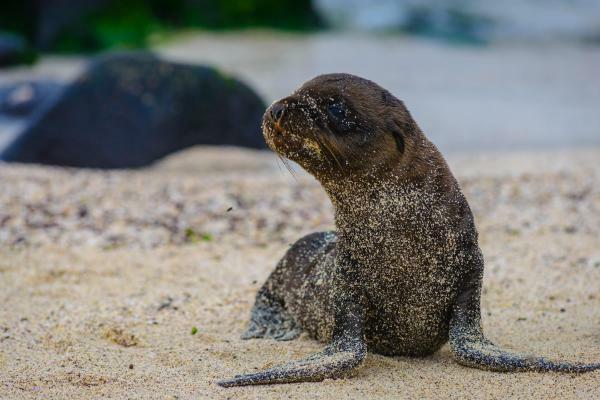 On shore it's easy to encounter Galápagos sea lions, sally light foot crabs and shore birds. Visitors are welcome to swim or snorkel and enjoy the beach. Darwin Bay is a coarse white sandy beach that is the only one found in the caldera on Genovesa. Colonies of the Great Frigates are found along the beach here and first light in the morning allows you to see red-footed boobies displaying in their courtship rituals. The frigates show off their magnificent and spectacular red colored gular sacs totally inflated to attract any passing female. 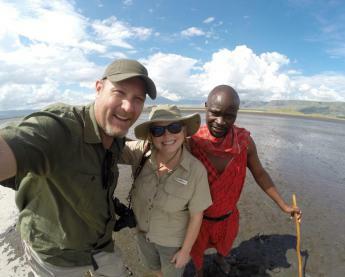 This is also a great location for observing three species of Darwin’s finches along with Galapagos ground doves, yellow warblers and Galapagos mocking birds. Snorkel with the chance to see various colorful tropical fishes as well as the possibility of spotting sea turtles, Pacific mantas, or even a hammerhead. El Barranco, also know as Prince Philip’s Steps, is a stair carved out of stone that will lead to a wide plateau. Observe large colonies of Masked Boobies, frigatebirds, storm petrels and bahama ducks, during this easy walk cross a little Scalesia woodland and observe the Short-eared Owl. The Samba is the only yacht that is authorized by the National Park's to explore the wonder of Marchena Island. 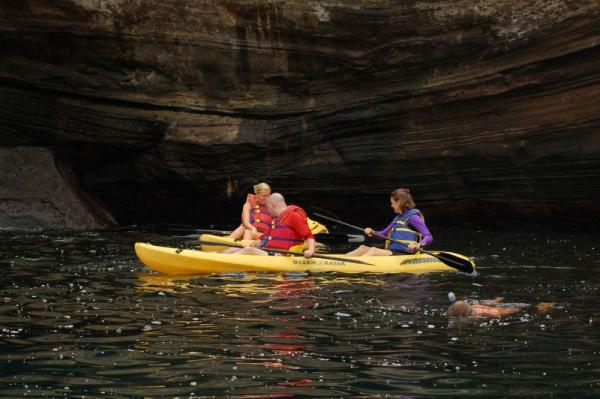 This can only be done by panga, kayak, or snorkeling. The enormous lava flows have left this island with no fresh water and scarce vegetation making it an untouched and serene environment. Punta Mejia is one of the best snorkeling sites in the islands due to it's calm and deep blue waters and it's underwater lava flows. It is home to a plethora of marine life including rays, sea turtles, white tip reef sharks, and moray eels. Playa Negra (black beach), is a black color due to the black basaltic sands from the young lava flows this island has experienced. Point Albemarle is the northern most point of Isabela and is the location of an abandoned radar staion used during World War II. There is a mangrove zone here and pahoe-hoe lava flows that serve as nesting sites for the only flightless cormorant in the world. Basking in the sun you will also find the largest marine iguanas of the archipelago. Punta Vicente Roca offers unique geological volcanic formations including tuff cones and cindery slopes. 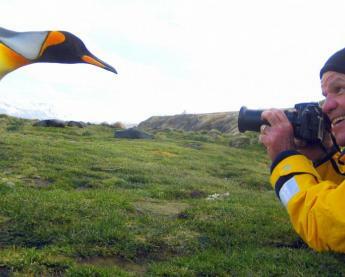 Have a chance to observe some of the wildlife that makes its home here including Galapagos penguins, blue-footed boobies, Nazca boobies, and brown noddies. Enjoy a zodiac tour along the cliffs of Tagus Cove and get a chance at seeing the Galapagos penguin, the flightless cormorant, and other sea birds. From the landing dock, it is about a 30 minute hike along the trail up to the top of the cliff. Several volcanoes and the Darwin Lake can be viewed from this point. Darwin lake is an uplifted ultra saline lake that is saltier than the sea. Espinoza point is one of Fernandina’s vista points. 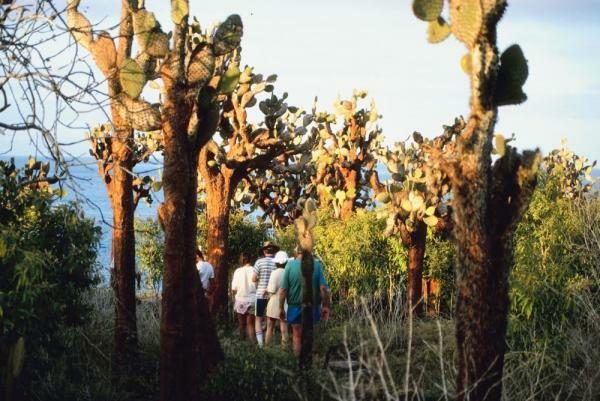 Espinoza is situated within a fascinating lava scenery filled with Lava-Cactus and mangroves. 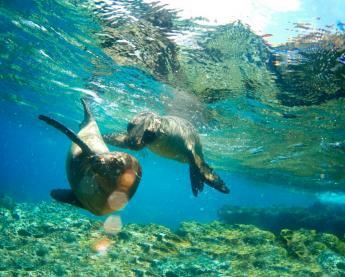 Enjoy seeing sea lions, penguins, the flightless cormorant as well as one of the biggest iguana colonies of the Galapagos. Snorkel and explore the hidden treasures of the underwater world. The mangrove area of Elizabeth Bay has little off-shore islands where dwarf penguins make their home. Schools of manta rays, turtles, and other giants of the ocean, such as whale-sharks are common inhabitant in this area. Take a panga excursion that starts with a visit to the Marielas islets which is home to the largest penguin colony in the Galapagos. Continue into the red mangrove covered cove where sea turtles, flightless cormorants, spotted eagle rays, golden rays, brown pelicans and sea lions are abundant. Here the still waters are disrupted by the heads of the Pacific Green Sea Turtle popping up for a breath of air. Punta Moreno has a young volcanic landscape with numerous fresh-water pools and lagoons. This is a great habitat for flamingos, bahama ducks, and other birds. Land on Puerto Velasco Ibarra and head out to the highlands and take a hike up Cerro Alieri. Take time to view this incredible landscape that is decorated by 48 known species of native and endemic plants. Peace Asylum is the location of an artisan spring. It is one of the few year-round sources of fresh water making it an attraction of pirates, whalers and later settlers to Floreana. The original settlers landed at La Cueva de los Piratas (Pirate's Cave). La Lobería is a small beach with a sea lion colony that make their homes there and along the bay coast. 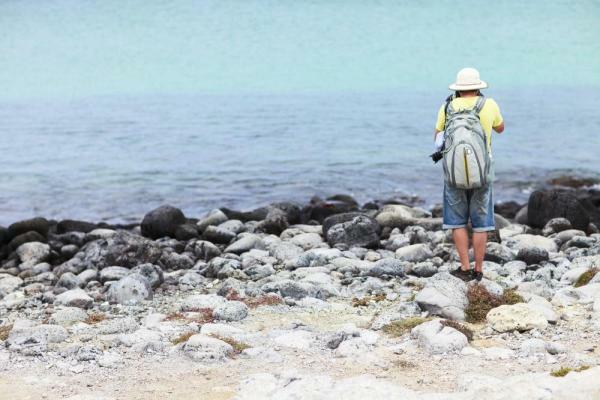 Also observe marine iguanas and green sea turtles that nest on the beach. End the day with some relaxing swimming and snorkeling. The 'Gemelos' are two distinct geological formations that consist of two depressions in the ground formed by the collapse of an underground cave. This makes an excellent home to several types of birds including finches, flycatchers, and owls, as well as a diverse collection of plant life. Later a guide will accompany you to the airport at Baltra to make your way back to the mainland. Enjoy the Galapagos Islands aboard this charming motor sailer, offering its 14 guests the a unique experience. With safety and courtesy as the number one priority, a highly trained bilingual crew will lead you on navigations to all corners of this island paradise as passengers appreciate the spacious cabins and several social areas. Standard Cabins have upper and lower bunks, the bottom bunk is wider. Private bath facilities. 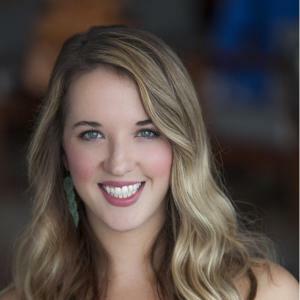 Inquire for special children's rates.